Easy to walk, not hilly, yet varied and offering a sporting challenge. 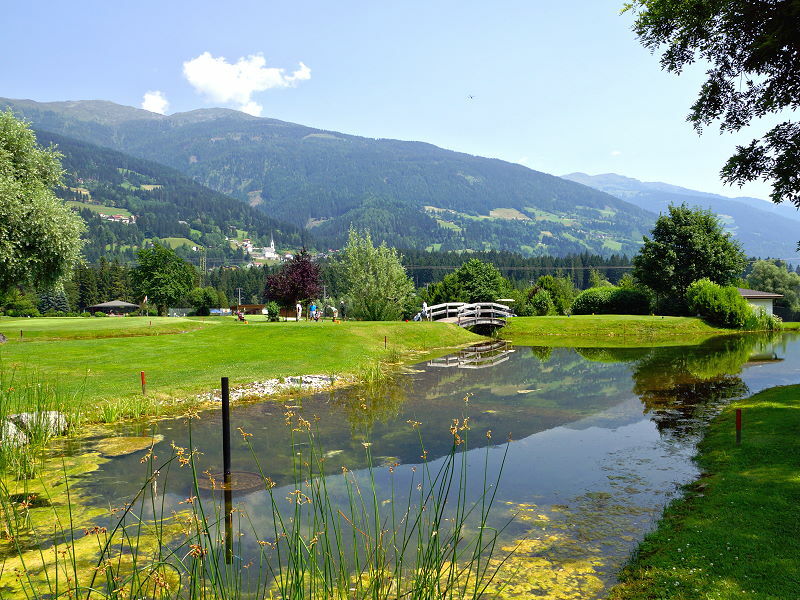 The Drautal golf course (just 5 minutes away) is emblematic of the Carinthian Drau Valley, Anyone who has ever played in Berg im Drautal appreciates this excellently maintained golf course, which is one of the most attractive 9-hole courses in Austria. 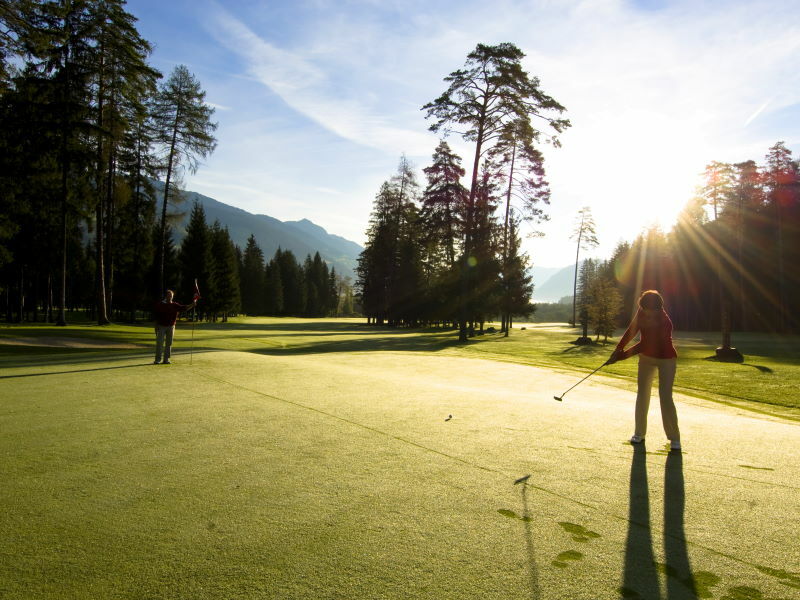 The fairways are bordered by crystal-clear water and majestic spruce and pine forests. The peace will do you good, and can have a direct impact on your game. We will turn you into a golfer! 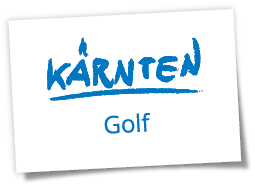 1-day-greenfee € 28 for hotel guest. 9-holes/sunset (from 5 pm) € 17. 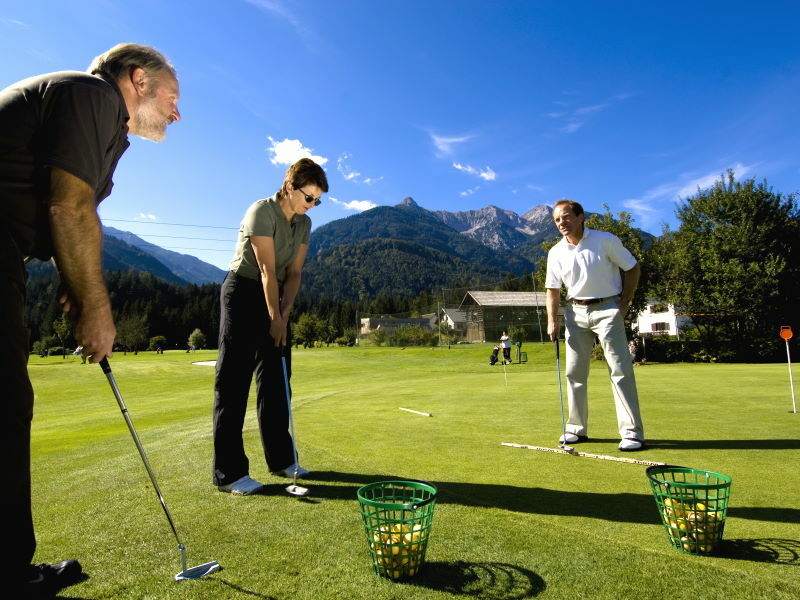 There it is also possible to just check out the hobby Golf and to take private lessons. 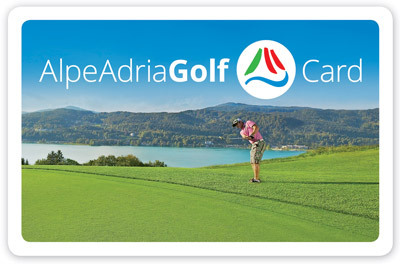 With Alpe Adria Golf Card you can play an other golf course every day. 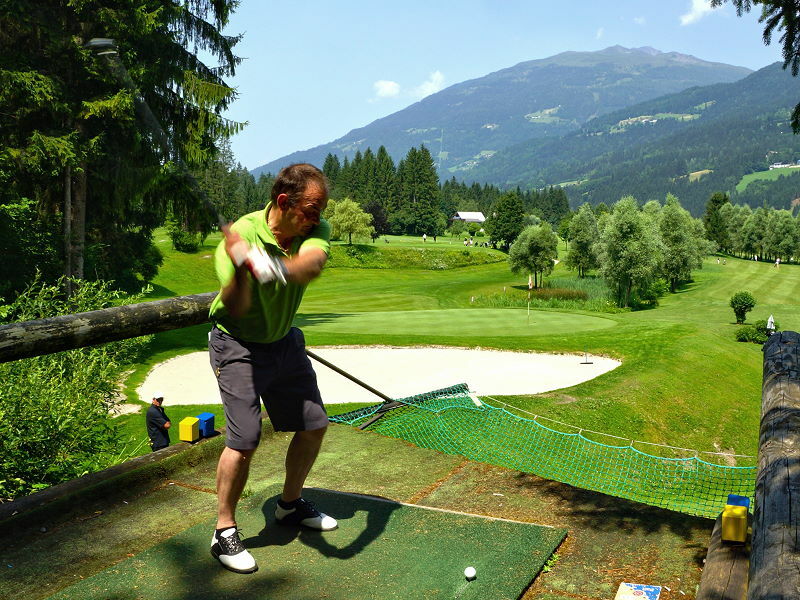 There are 22 golf courses in AlpeAdria region in Carinthia, Slovenia and Italy available (12 in Carinthia). 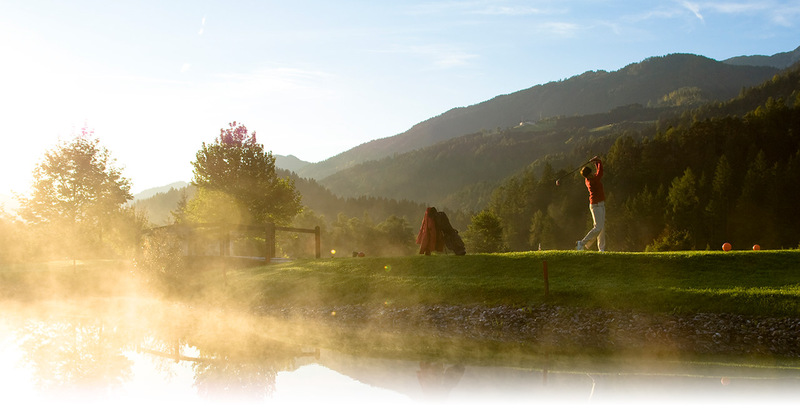 You can book Alpe Adria Golf Card directly with your next stay at the Glocknerhof.